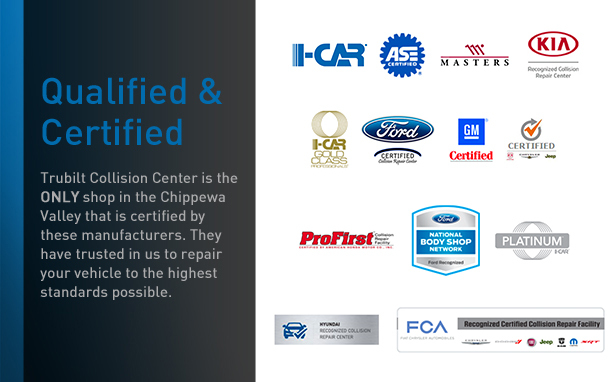 Trubilt Collision Center is the Chippewa Valley’s FIRST shop to be certified by the manufacturers listed below. Why is Being Certified so Important? Vehicles are not made like they used to be. Because we know this we stay up-to-date on advanced metals & technologies and follow manufacturer required procedures to repair your vehicle safely & properly. Our technicians are required to pursue on-going training and maintain specific levels of certifications. We are committed to maintaining these for the well-being of our customers and their families. 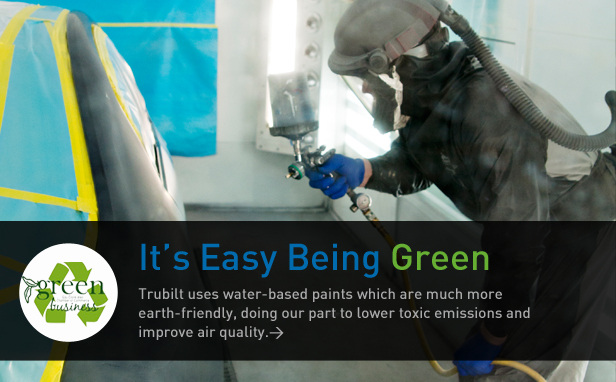 Trubilt Collision Center was voted Best Auto Body Shop in the Chippewa Valley in the 2019 Volume One Reader Poll. Thanks to your votes we have had the honor of winning this award for the last 8 years. Thank you for your continued support. Choose one of our repair facilities to ensure the safety and integrity of your vehicle is restored to pre-accident condition. 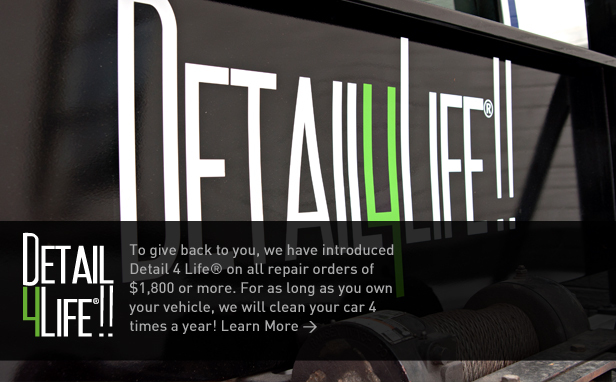 We will handle the whole repair process for you all while keeping you informed along the way. Prefer text messages? No problem! 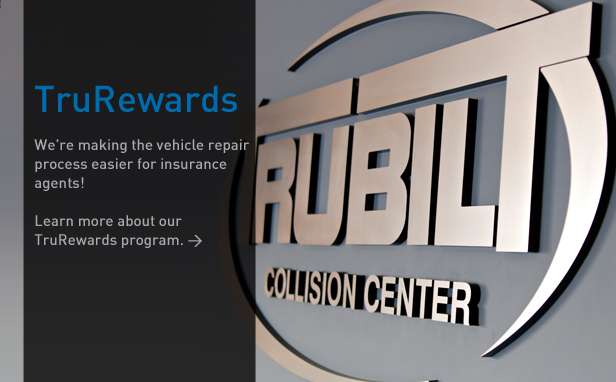 Need a vehicle while we are making yours safe for your family? No problem! We have free loaner vehicles for you to use. Want us to clean your vehicle before you get it back? Yep, we do that too! Our family business is proud to be serving this community since 1969. A program designed for insurance agencies and representatives to help streamline the process when your customers are involved in an automobile accident.